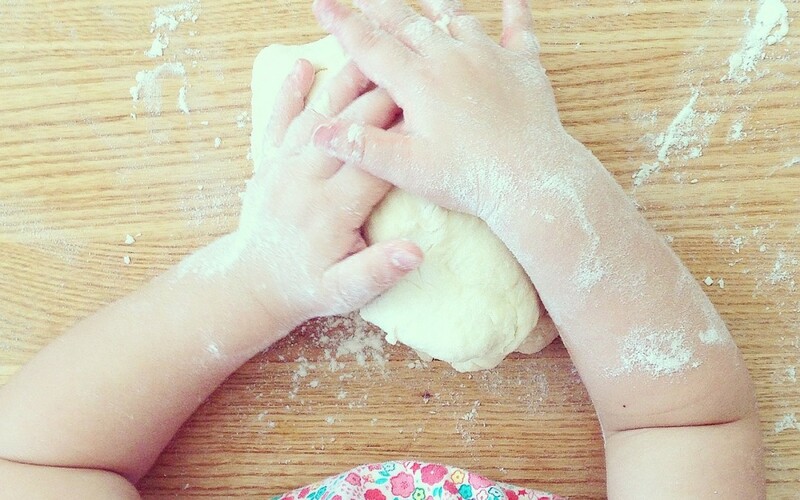 On Tuesdays we make bread rolls with the children at the Kindergarten. Mix some honey in warm water. Serve with honey, marmite or pear & apple spread and chunks of cheese.